A colossal showdown between bad guys is about to unfold in Academy City! 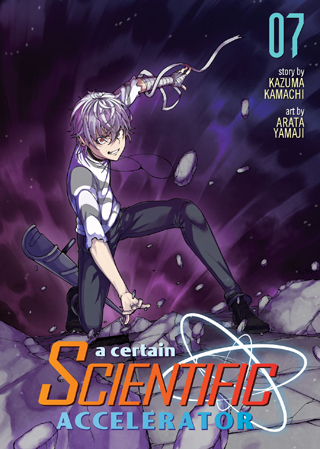 Accelerator, the world’s strongest psychic, squares off against the Taowu–newly possessed by the will of necromancer Isaac Rosenthal. Only the perfect blow can stop the Taowu’s endless transformations–it’s time to send in a bigger, badder villain!